Ms. Hymel’s work focuses on defending employers and insurance carriers against claims arising under the Louisiana Workers’ Compensation Act. Ms. Hymel graduated from Louisiana State University in 2012, where she received a Bachelor of Arts in Mass Communication. 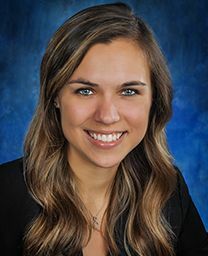 Following that, she attended Louisiana State University Paul M. Hebert Law Center, and graduated in May of 2015, with a Juris Doctorate and Bachelor of Civil Law Degree. While at LSU Law, Ms. Hymel was the Senior Notes & Comments Editor of the Journal of Energy Law & Resources. She was admitted to the Louisiana State Bar in October of 2015, and is a member of the American Bar Association and the New Orleans Bar Association. State Bar of Louisiana and American Bar Association.